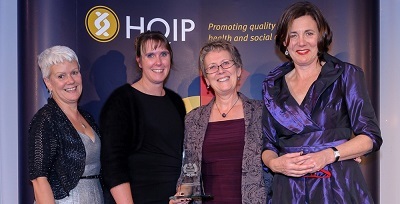 We are delighted to announce that the End of Life Partnership team has won an award for excellence with their poster ‘True collaborative working across geographical areas and professional boundaries in an innovative and unique way’ at the national Annual HQIP (Healthcare Quality Improvement Partnership) Conference on November 3rd-4th 2014.. Finalists were shortlisted by HQIP and then the winners in each category voted for by the HQIP delegates at the Conference – the EoLP poster was in the ‘local’ section of the ‘Partnership working with professional stakeholders’ category. 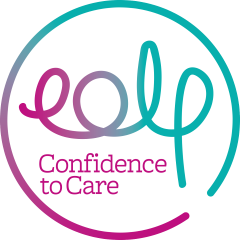 This award has been made possible by the commitment and hard work of the EoLP team and the wide range of Partners who support us in our aim to transform end of life experience and care. The End of Life Partnership (EoLP) are celebrating their teams scooping first and second place at the Northern Lights Dementia Awards. The prestigious awards, which cover the whole of the North of England, were judged by a multi-disciplinary panel of professionals and community members with an interest in dementia. Winners in the “Dying Well Project” category were EoLP’s Advanced Dementia Support Team. The team, founded in partnership with St. Luke’s Hospice, East Cheshire Hospice and Dementia UK, work to promote a compassionate approach to the care of people with advanced dementia. The Namaste Project, a joint venture between EOLP and St Luke’s Hospice in Winsford, works to engage with people with advanced dementia through sensory input and was awarded the runner up place. 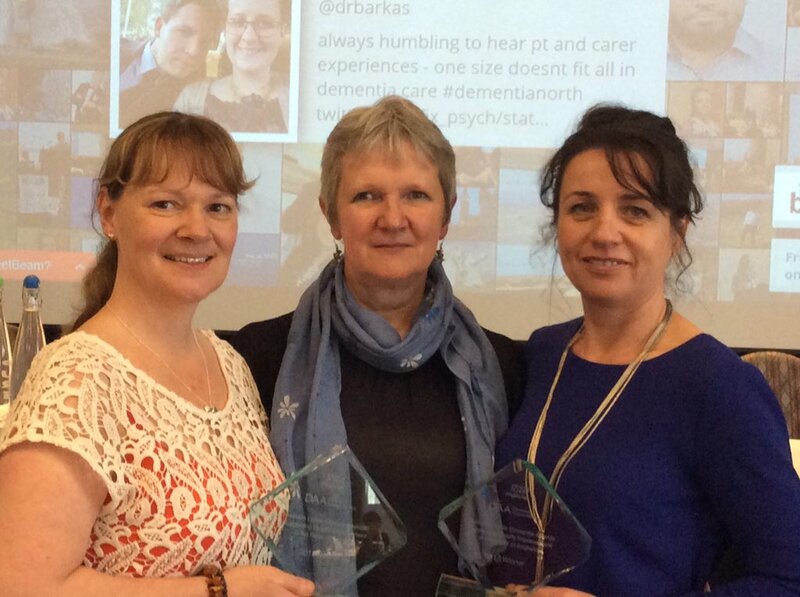 Lynne Partington, Namaste Project Coordinator, EoLP added “I am delighted for my colleagues in the Advanced Dementia Support Team and thrilled that the Namaste project is runner up. This is great recognition for all our hard work and the collaboration of organisations. We hope to continue to work together in the future and promoting Namaste, to ensure people living with Dementia have the best care possible.” If you have any questions about the projects please call 01270 758 120. The innovative Public Health and Wellbeing Team from Cheshire Charity The End of Life Partnership were awarded the accolade of finalists in the first ever National Council for Palliative Care (NCPC) end of life care awards. Over 50 organisations entered one of more of the four categories, ranging from hospices and projects through to individuals and groups working or volunteering in end of life care. 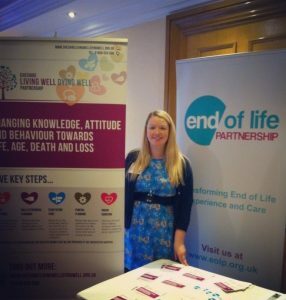 The team were recognised as finalists in the Dying Matters Awareness Initiative of the Year Category alongside The Leeds Dying Matters Stakeholder Group and winners, Pushing Up Daisies – Todmorden Festival. The panel of judges includes a mixture of experts and patients representatives and the awards were presented during the NCPC’s flagship conference on March 23-24.